Birkholm's Water Ski School offers water ski lessons for double skiing and slalom skiing. We can teach you using in the water instruction or from the boat depending on your age and confidence. 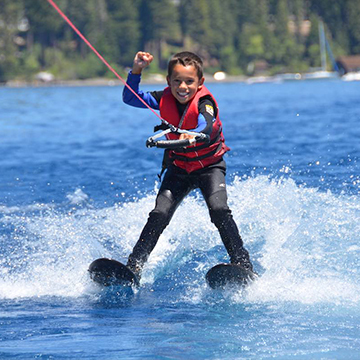 Water skiing is truly an activity where the entire family can participate, in the beauty of Lake Tahoe. Wakeboarding, a favorite Lake Tahoe Water Sport. 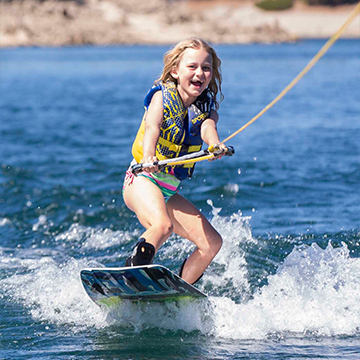 Birkholm's wakeboarding lessons and/or tows for all ages and ability levels. Come out and see how easy it can be with professional coaching at Birkholm's Water Ski School. 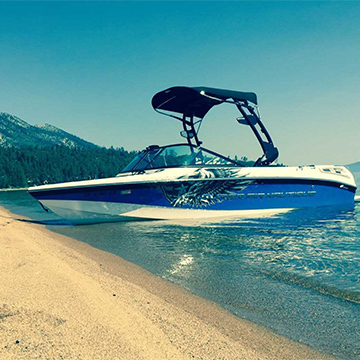 Birkholm’s Water Ski School also offers boat rides and tours of Lake Tahoe. Take a tour of Emerald Bay, or spend the day cruising the East or West Shores of Lake Tahoe. There are lots of spots to stop for swimming plus several lakeside restaurants if you want to make a pit stop. 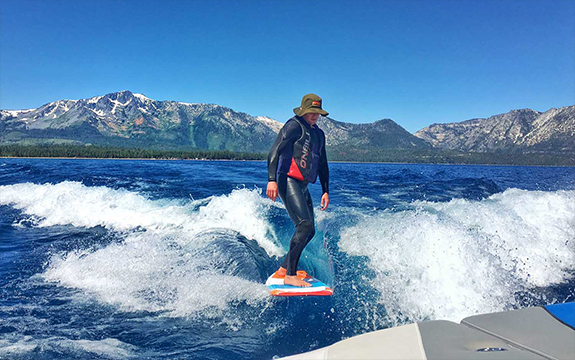 If you like surfing in the ocean then you will love surfing behind the boat on Lake Tahoe. Come try inland surfing on our endless waves, or until the fuel runs out. Wakesurfing is a great alternative to wakeboarding or waterskiing. 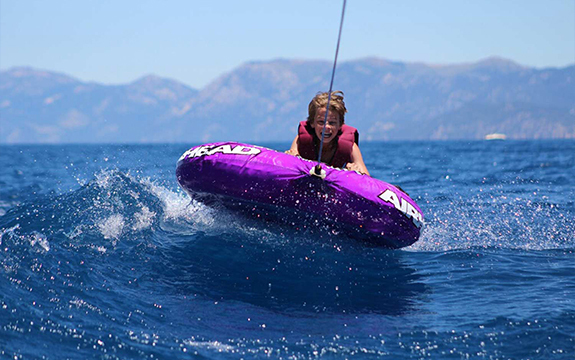 Tubing is an activity the entire family can participate in without instruction or lessons. Tube rides are the same price, and wet suits are included if desired. Fuel is also included. We are conveniently located out of the Tahoe Keys Marina, although if your accommodations allow for lake front pickup we can come to you. Our family of 4, with two kids ages 7 and 12, had such a great morning learning to water ski with Eric. All the equipment and expertise instruction we needed was provided in the most friendly, relaxed and efficient way — we all got a chance to be on the water (skiing and water tubing) and get a great first-timer’s experience. Just enough to leave us wanting to come back and learn even more next time. “Really, really, really fun…and nice people!” is the littlest one’s review. We agree — thanks for the experience and encouragement, coach Eric!. I was up in Tahoe last week with 3 kids. Our family has never tried waterskiing before. I scheduled a 1 hour lesson with Eric and Jim. The kids had a blast! All three of them were able to get up on their skis (for short periods at least) with Jim’s help. That man is incredibly patient. Thank you for giving them great memories! I highly recommend this business to anyone thinking of learning to water ski! We had 4 kids ages 9, 12, 13 and 15 who had never water skied before. Eric and Brendan got all four of them up and skiing. They had a BLAST! WE went into this blind not knowing any operators or reading any reviews. All I can say is we hit the jackpot. They were professional and very patient with the kids. We are already looking forward to doing it again next year.